SEAMAN JOB INFO - Posted/Jan/2019 Yialos Manning Services, Inc. 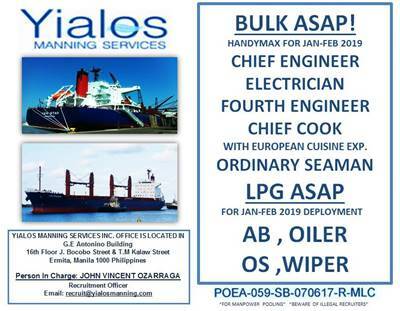 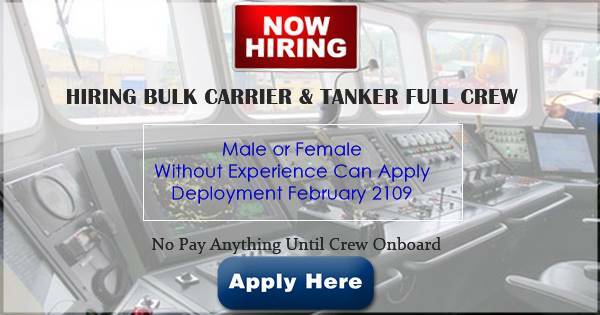 Updates hiring jobs for Filipino seafarers crew join on bulk carrier, LPG tanker ship deployment February 2019. 0 Response to "Able Seaman, Oiler, Ordinary Seaman, Wiper, Cook, Electrician, 4/E, C/E For Bulk Carrier and LPG Tanker Ship"